This is a guest post written by Heather Behrends of Made In A Pinch. Healthy Money Habits Can Be Tough For Adults To Master. That’s Why Parents Need to Start Teaching Their Kids Important Money Skills At A Young Age. How do you raise a child who understands the importance of a dollar, values saving money, and enjoys helping others? For one thing, you talk about it. 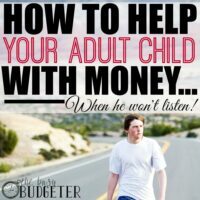 The last thing finances should be is a taboo subject, that’s where the trouble starts! Talk about saving, spending and giving to those who need a helping hand. 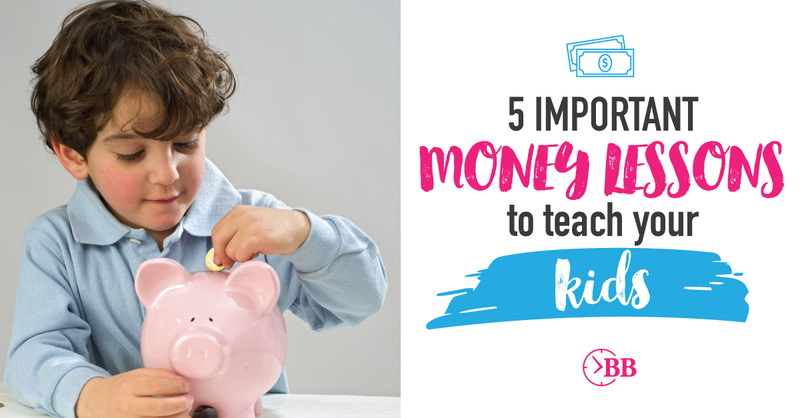 To help you start showing your kids healthy spending habits, we put together a list of important money skills kids need to learn. Kids are famous for asking (ok, begging) for everything they want. Saying yes all the time and overindulging their child. Saying no all the time and then feeling guilty about it. Instead of making all these decisions FOR your kids, help them start making these decisions for themselves. With their “own” money – that they earned in some form. I prefer to have my kids do a set number of jobs and earn a weekly allowance to help them also learn that everyone in the family pitches in to help the family. By having my kids do chores, they are learning that it takes hard work to earn money. In other words, they are learning the value of a dollar. Then, once they have some money to spend, they can start making decisions regarding what they want to spend it on. This helps them learn that money is a limited resource. With the Average American is in debt to the tune of $38,000 (not including a home mortgage! ), it is more important than ever to learn solid money and budgeting skills. Lots of families haven’t learned good money skills. 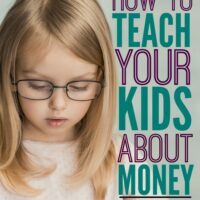 Because they don’t have those skills, they don’t teach their kids smart money habits. Unfortunately, that means more families are living with credit cards and debt hanging over their heads. 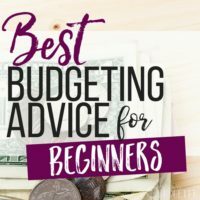 In order for your kids to grow up knowing good money skills, we have to start by learning how to budget and live within our means. It doesn’t need to be complicated! And if you need help to start reigning in your own spending, a no spend challenge just might be the ticket. Kids also need to experience making choices for spending so they learn that when they spend money on one thing, they have that much less to spend on other things they may want. Teaching your kids about how credit works is a lesson you cannot afford to skip over or assume your kids will learn elsewhere. Kids need to learn that buying with credit is not the same as buying with cash. In fact, they need to learn that the cost of buying with credit can be so much higher if you are not paying off the balance each month. I suggest discussing how that cost (when not paying off the balance each month) compares to the cost of saving and purchasing once you have the ability to pay in full. Even better, create a real-life example. Kids learn so much more through experience! If your kids are always begging for something they want, take that opportunity to teach them about “credit” with a promissory note. Be sure to include a due date for payment in full and add interest if they don’t pay off their debt! Delayed gratification is a skill that is becoming a lost art. The idea behind it: instead of buying on credit now, save until you have the ability to purchase without credit. Once they finally purchase the item, it means so much more to them. I use a two-fold system to encourage saving with my kids. Each time they receive money, part goes into a savings jar and part goes toward spending. We also set goals by choosing something that they want and are saving toward. 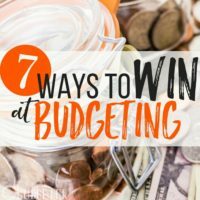 That way, when they get the itch to spend, we can revisit the goal they are working towards and count their spend money to see how much more they need to save. By automatically saving some money each time they receive any, I am teaching them to make saving a habit. When they take the time to save enough to buy the item they desire, they are learning the art of delayed gratification. In a way, I believe this is the most important lesson because exposing kids to the fact that there are those less fortunate than they are is a huge eye-opener. Remember how I mentioned that I have my kids split any money they receive between spending and saving? What I didn’t mention before is that they actually split it 3 ways: spend, save and donate. Then once or twice a year, we take their money earmarked for donation and give it to the cause of their choice. Sometimes it goes to a homeless person; sometimes it goes toward a different cause that they support. I have been thrilled to hear my kids talk about the causes they are thinking about donating towards and why. And I believe that in doing this practice, they will grow up to have helping hearts. 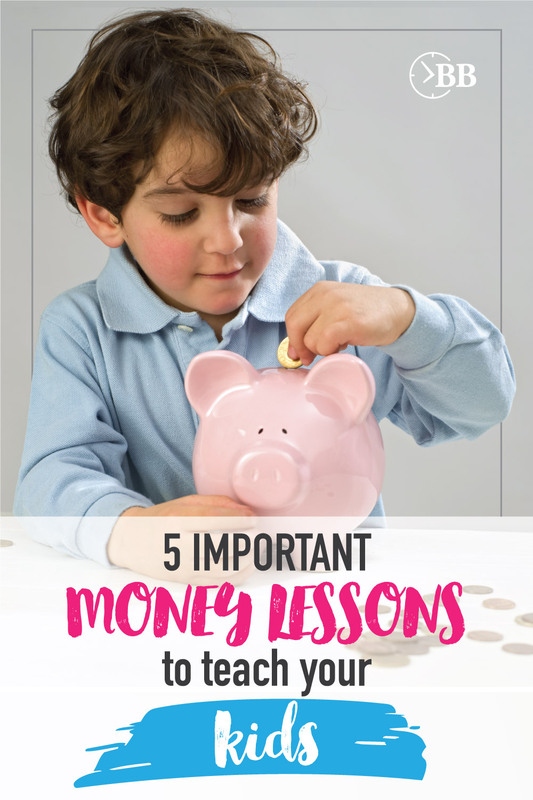 By teaching valuable money skills now, the goal is to let your kids learn the important lessons now, while you can help them and guide them, rather than later when they are on their own and the consequences are so much greater. It may take years for them to really learn these skills. But, by taking the time to teach your kids that money needs to be earned, sound budgeting skills, how to save, the true cost of credit, and the value of helping those who are less fortunate, you are setting them up for a lifelong healthy relationship with money. 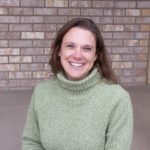 This guest post was written by Heather Behrends of Made In A Pinch, a family lifestyle blog dedicated to helping parents bring family life from chaos to calm with practical tips and simple recipes. You can catch up with Heather on Facebook, Pinterest, and Twitter.